Infamous tone at your feet. 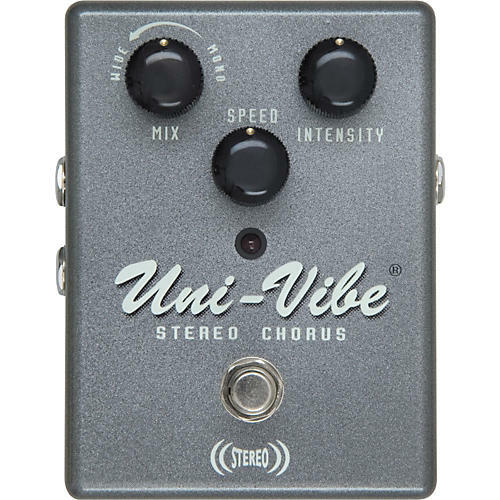 Inspired by the legendary Uni-Vibe, which gave Hendrix and Trower their hypnotizing rotating-speaker sound. Controls allow you to vary the mix of left and right outputs from spatially wide to classic mono. Features Intensity, Mix, and Speed controls along with a heavy-duty bypass switch and an "On" status LED which pulsates at the speed rate. Powered by ECB03 power supply or 9V battery.